use the best quality Cement. You don't need a whole lot of space for a garden. People tend to imagine a sprawling backyard or a wide front yard for lawns and a garden. Limited as the square footage may be, smaller more compact green spaces are just as charming as their larger counterparts. Due to small city homes, gardens are thought to be an extravagance or a luxury that people with smaller homes and less area cannot possibly afford. In fact, nothing can be further from the truth. After all plants can grow anywhere, their growth doesn’t depend upon the size of an area, but the quality of the soil. You can have them sprout up in narrow passages, roof tops, and even small patches of soil. Small gardens have a lot of potential. Here we give you a few design tips to have your own. - Start with balance; divvy up the greens spaces with the negative areas, even a tiny garden needs an equal share of both to achieve a good aesthetic. - Don't try and cram in a lot of things, you can go overboard with too many elements, restrict your garden features like a small pond, or a gazebo or any other decorative element. - In small gardens where space is limited, compose frames of views in all directions to offer a point of interest in every direction rather than creating one wow moment. - Even though you have a shortage of area, when planning a space for seating or gathering, keep those proportional to size. This creates a comfort that small garden owners tend to downsize as well. - Select your plant palette for your garden with a theme in mind. Because the garden is small, don't overdo the colours, as this may lead to the garden looking smaller and more confined. - Lighting is your friend, use it to highlight and light your entire garden, so there are no “dark spaces”. This will make your garden look bright and you can extend the usage from day to night times as well. - Since horizontally there is a shortage of space, you can always go vertical; things like live green walls are a great way to amp up the green. Here are a few examples of small urban gardens done right. They will give you an idea of how you can create your own miniature Eden. Here is a great example of how the designer selected a controlled plant palette, mainly consisting of green with cool tone flowers. The design lines are simple and clean. The planters are all flushed to the ground and are not too haphazard. Since the colour tone is kept only to green, the designer experimented with texture. Different species are used in each of the planter spaces to give this tiny garden a sense of depth and well thought out design sense. The hardscape here merges with the peripheral picket fence which makes the colour tone more seamless. The gravel, stepping stones and the stone tiled seating space are all in harmony with each other. 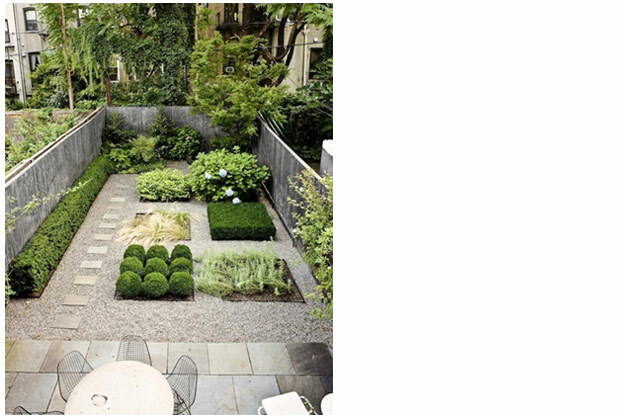 This garden displays the use of vertical space vs horizontal space. 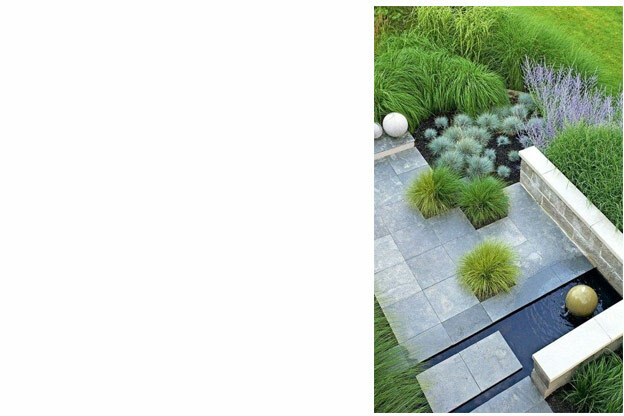 In general, small gardens face the challenge of space. Here the designer remedies that with more vertical focused plantation. There is no particular theme for the plants, because the plantation is curtailed to only the boundary planter. The various shades of green create the illusion of depth along the outer boundary. This gives the perception of a larger space than the actual area. The seating and other step details are all done is a wooden shade. The floating seat only adds to the convenience of usage. The seats are all very generous and proportional as well, which rounds off the usage and look of the narrow space. Just because you don't have enough space doesn't mean that you limit the plantation to shrubs. This is a common mistake made with tiny gardens. Here the designer planted trees in a relatively small area. There are shrubs as well, but the overarching trees make it seem like there is more space than meets the eye at first. 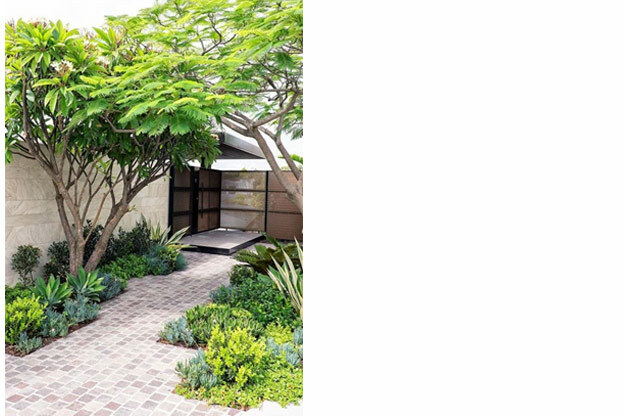 Planting bold or big trees, or placing large elements is actually a great way to create an illusion of space. The key is to have large features in small numbers rather than small elements in large numbers. Avoid smaller proportions and narrow paths, small features, etc. Here the pathways are standard width, and the large trees, and huge gates give the garden a feel that exudes confidence in space. You might be wary of adding anything big, but go bold with the elements and keep the species of plants simple. 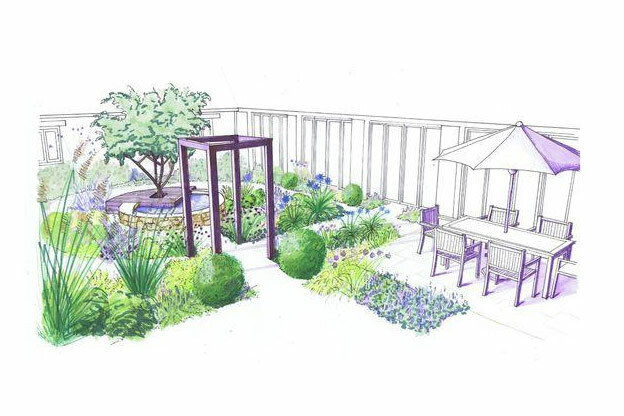 When planning a small garden, simplicity is the best policy. Avoid too many materials. Here the designer has chosen to stick to three to four types of stone. It’s important to avoid using too many different materials, as this can make the garden seem busy and cluttered. The rule of three also applies to the colours you use in your garden. Keep your material colour palette to a minimum as well. This will give a coherence and consistency to your garden. Have large clusters of a limited type of plant like displayed here that will be great to maintain while creating a nice aesthetic. Have a highlight flower plant to add pops of colour. Look for striking plants which perform over long periods and are perennial. Small gardens, tiny terraces, and baby balconies require large thought. A pro tip here is that small gardens have smaller maintenance. 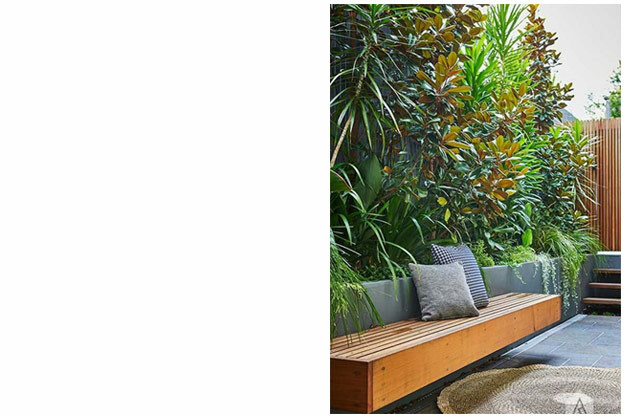 Urban gardens require careful planning to create a practical and stylish space that creates a lasting impact.